Jazzy Select Elite **DEMO** - 300lb Cap. This is a demo unit which was never used. This unit is virtually new and is priced 20% off with a 6 month "Bumper-to-bumper" warranty. The seat measures 18" Wide x 20" Deep and features an upgraded removable/replaceable seat cushion. This chair comes with new batteries installed at time of delivery and an upgraded 5ah off-board charger. The Jazzy Select® Elite delivers high performance and maneuverability in a compact, stylish design for your active lifestyle. 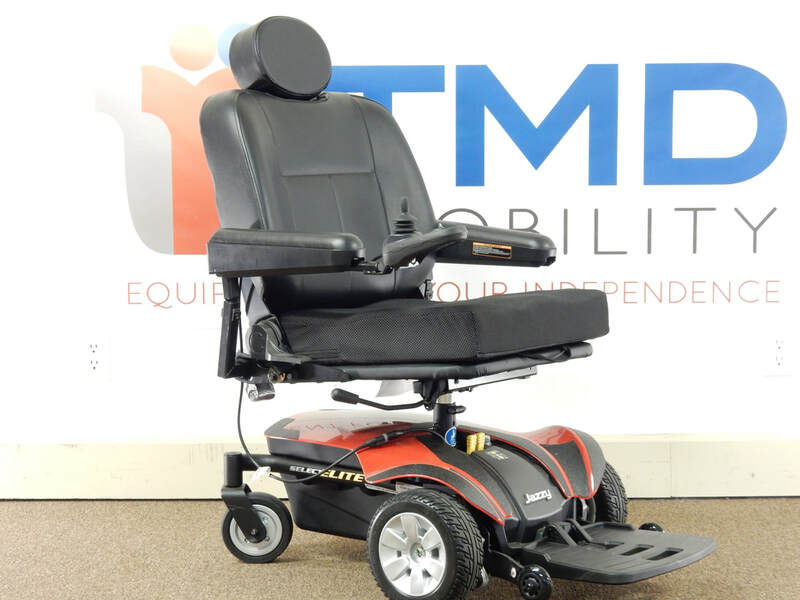 In-line, front-wheel drive technology gives the Jazzy Select Elite excellent stability, provides a tight turning radius around corners for optimal indoor maneuverability, climbs obstacles and grade changes with ease and handles various terrains indoors and out for an overall solid performance. The Jazzy Select Elite comes standard with Pride’s exclusive Jazzy® Armor® for today’s rental environment, depth-adjustable high-back seat, flip-up, removable, height and width adjustable armrest and flip-up height adjustable foot platform. Mike DeVries - (763) 200-0222 - Call for showroom appointment.